If you got tired of all the punching in The Defenders, then this new clip from Marvel Television and Netflix’s The Punisher might be more your cup of tea. Less punching, more shooting and stabbing. 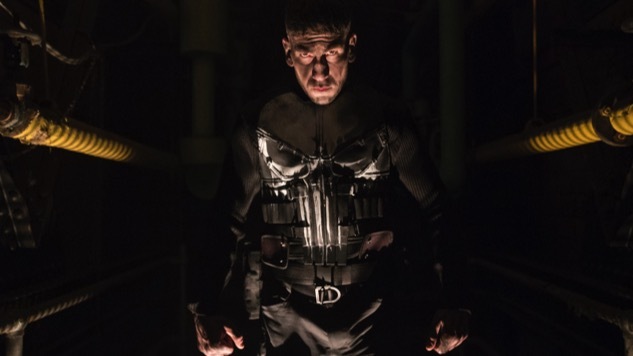 The Marvel-Netflix shows have always represented a more violent side of the larger Marvel Cinematic Universe, but as we saw in season two of Daredevil, The Punisher has fewer qualms about killing in order to achieve his vengeance-driven goals. In retrospect, The Defenders probably could have beaten The Hand easily if The Immortal Iron Fist, protector of K’un Lun just had a freaking gun. The Punisher will stream on Netflix in 2017, but the streamer has been coy on an exact date, redacting it in promotional materials. Maybe if we’re lucky, we can find the 13 episodes already under our seats. In the meantime, check out new photos from the show here and today’s clip below.